Spinster Abigail Carrick faces a frugal existence in dour Scotland—until her father's will reveals she has two unknown half-sisters. Free women of color, they will share her inheritance of a sugar plantation in the Caribbean. Against all advice, Abigail crosses the ocean to meet them. Fellow passenger Euan Sinclair offers her welcome encouragement. As their friendship deepens, the young lawyer is torn between attraction to Abigail and his loathing of slavery. His principles also clash with his duty, for his legal mission is delicate and he dare not fail. 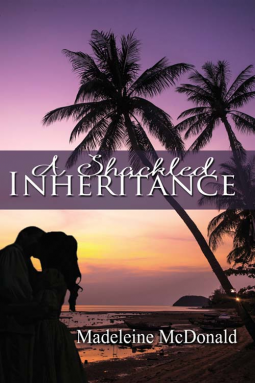 Fate throws the slave owner and the abolitionist together, on an island gripped by rumors of a slave revolt. When Euan meets Abigail's family, will her alluring sister Desiree steal him from her? I was happy to learn that this novel was inspired by the true story of a will written 200 years ago. A good read for historical romance fans.. I received a complimentary copy of this book from the publisher via NetGalley and was under no obligation to post a review.